The LCBA was started 15 years ago to serve as a feeder program for Central High School. It has quickly become one of the top school affiliated basketball programs in the state. 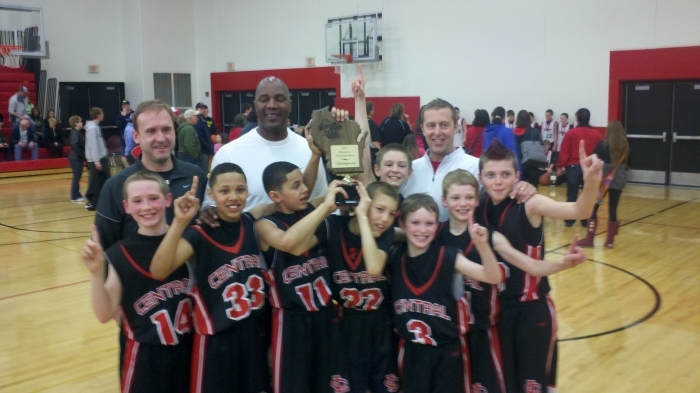 The LCBA extends from Kindergarten all the way up to the Central High School varsity team. Coaches and players at all levels are involved and interact with each other bringing a feeling of one large team/family that represents Central High School. The same 'Core Standards' are emphasized at all levels of the program. The dedicated and knowledgeable coaches throughout our program and the tremendous opportunities offered are key to giving kids an opportunity to learn and grow both on and off the court. An instructional program that practices and plays games two Saturdays a month from December to early February. Additional practices are available at south side schools duriing the week. All players receive a free basketball upon becoming a Junior Raider. La Crosse Central High Scholl coaches, players along with LCBA staff will provide the instruction which creates an outstanding coach-to-player ratio. This is an excellent option for those players and families who are not yet ready to join our LCBA traveling teams. An outstanding program that will allow our 3rd and 4th grade players to compete against other area teams from local communities. Our LCBA teams will practice two to three days a week and play games on Saturdays. The vast majority of games are played at Central High School. The season will run from late November until mid-February. Practices are held at Central High School and other southside schools.